Joe Miller from London is the 2016 World Long Drive Champion! With a drive in the final of 423 yards smashing his opponent who hit a mere 412 yards! This was not even Joe’s longest drive of the competition which was in the semi-finals with a drive of 437 yards! 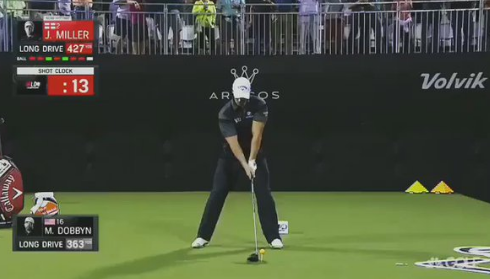 But what allows this guy hit the ball so far? I have had the privilege to watch Joe hit balls in person. It is honestly nothing like I’ve ever seen before on a golf course! Driving par 4’s with irons, leaving himself a 50-yard flick into a par 5, for the most of us this is the stuff of dreams but for Joe this is his reality. For starters Joe is not built like your average man, he is 19 stone of pure muscle. 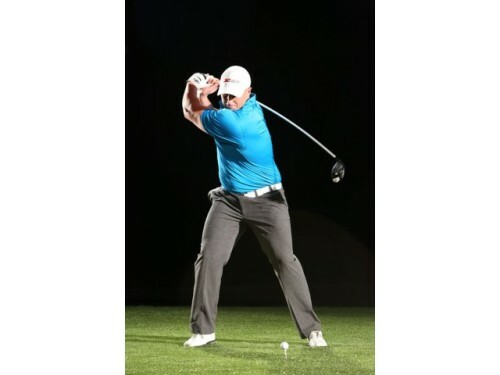 His shoulder turn and flexibility gives him the ability to have a lengthened golf swing to give him the most possible time to accelerate the club through the ball for maximum speed. His left heel comes a long way off the ground allowing him to snap it back down onto the ground while transferring all his weight through the ball. BOOM! Joe trains daily hitting the gym hard and devouring around 8,000 calories per day, to get himself the most power for his golf swing! So if you want to hit a golf ball as far as Joe Miller all you need to do is be 6ft 4inches tall, eat around 8,000 calories a day, go to the gym every day, and have unreal flexibility and power in your body for maximum club head speed! That doesn’t sound too hard right? ← Who will win the Ryder Cup?